In this guide we’ll look at the best RC battleships. What Is The Best RC Battleship? This HengTai Smasher Destroyer has a fabulous design, and is in a large 1:115 scale. It arrives needing just a few parts glued on, and strikingly resembles the real deal. The quality is high, and it’s very durable. In terms of the the control, this boat is easy to maneuver and deceptively speedy, considering the size. The electronics can be upgraded if you want some extra speed, and it’s suitable for freshwater – perfect for pools, ponds, rivers and lakes. Next up we’ve got the German Bismarck Military Battleship which, like the Destroyer, strongly resembles its full-scale counterpart. This ship is excellent value, and the design is intricate and detailed. It’s suitable for use in fresh water and is extremely easy to control – turning left and right with ease. This model reaches speeds of up to 10mph and arrives ready to run in a 1:360 scale. It can be controlled from a distance of 120 feet and it’s extremely durable. It’s suitable for beginners despite the speed, making it the perfect present for children. This Warship Challenger by HT is another that’s loved by battleship enthusiasts all over. The design is intricate, with both lifeboats and helicopters on board, and it arrives ready to get going. This battleship is speedy. It easily reaches 10mph and is easy to control, responsive to turn and maneuver. It has a great run time and is exceptionally water tight to help it last longer. In a 1:275 scale, this model is large, and the dual propellers provide more than enough power. The operating range is 60 feet making it ideal for larger freshwater bodies, such as lakes and ponds. Next, we’ve got the Battle Watership Cruiser Destroyer, which offers excellent quality for a fantastic price. This model is perfect for children and beginners, with a safety function that requires the boat to touch the water before it will run. This model can reach speeds of 5mph which is more than fast enough for pools or small ponds. It’s exceptionally maneuverable, moving forwards, backwards, left and right with ease. At 1:250 scale, this model certainly isn’t small. It perfectly resembles a Japanese Yamato Battleship, one of the most powerful from the Imperial Japanese Navy. This model arrives ready to run and can be controlled from a distance of 130ft. Finally, we’ve got the POVO DIVO USS Missouri Battleship, another good budget option that’s perfect for pools, small ponds, rivers and lakes. This battleship comes equipped with a ‘touch water to run’ safety feature which means it won’t start until it touches the water, and it can be tested by a touch switch. This warship is powerful and fun. It has a twin propeller design and reaches speeds of 5mph. It can be controlled from a distance of 120 feet and comes equipped with a high capacity rechargeable battery. 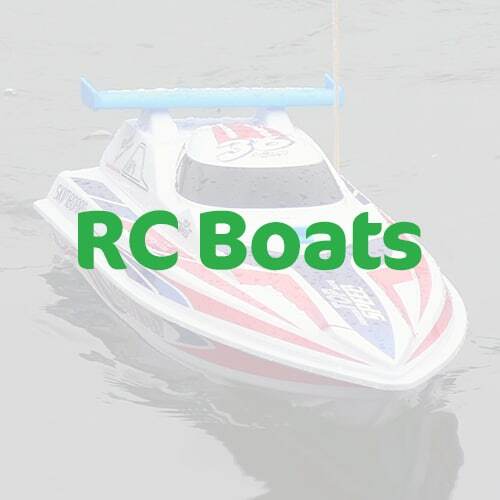 While much of the RC world is catered towards those seeking a fast and furious thrill, RC battleships are different. With highly detailed and intricate designs that mirror full scale battleships, these RC models are loved by everyone from children looking for some RC fun to battleship-loving historians. Buying a battleship for a child or beginner is relatively straightforward, as these ships are unlikely to reach great speeds anyway. Expensive battleships with highly detailed designs and parts can be fragile, and the intricacy may be lost on small children. If you are buying for a younger child, an easy to use, plastic model is perfect. RC battleships are loved all over the world for good reason. With so many available to shop online, opting for something of good quality is paramount. Ensure you prioritize what is important to you in your RC battleship, and read online reviews before you part with any cash. 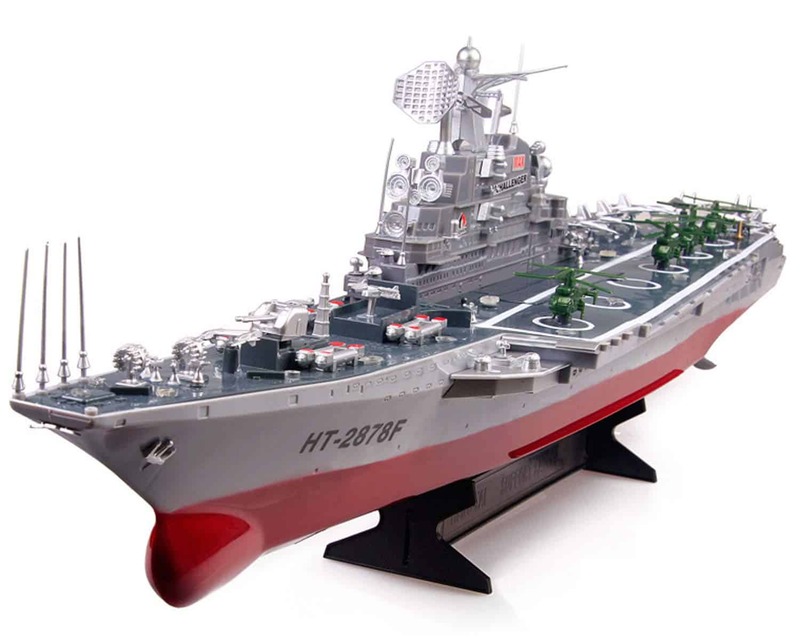 The most expensive RC battleships will be more collectors’ items than RC toys. They will have highly detailed designs that perfectly match real life warships. However, they will also be easy to use and maneuver in the water. The battery life will be good, and they’ll be made from high quality materials. At the other end of the scale are the toy like options which, although will still have great designs, won’t be as detailed and will be made from plastic. These models won’t reach high speeds but will be easy to control, and great for kids. While less attractive for historians or those interested in the detail, they can be used in pools and, at a push, small ponds. The scale of the boat will directly impact the detail in the design. Collector’s items will have a 1:360 scale usually. These will have great attention to detail but some of the parts may be fragile. The higher the buoyancy, the more lightweight design you will want. However, lightweight models will have less powerful motors. If you are planning on navigating calm waters or pools then the hull isn’t too important. A powerful electric motor is a must have if you’re after speed. Most battleships will reach up to 10mph, more than fast enough for smaller bodies of water. If you’re less focused on the design and more about just having some fun, opt for a battleship with a gun or cannon. Some RC battleships can shoot BB pellets and others just smaller lightweight pellets. RC battleships with a longer range can be used in larger bodies of water – such as ponds and lakes. Some battleships will contain a light that signals when you are going out of range. Some battleships come equipped with a safety device that stops the boat from moving unless it’s placed in water. This is perfect for kids as fast moving propellers can be dangerous. While you may pay more for this feature, the added safety is usually worth it. Your boat should stand the the test of time and bear in mind that boats with lots of smaller parts can be fragile. All RC battleships should have a waterproof coating, although you may want to seal it yourself too.